PRIVATE ISLAND HOME IN NORTH CAROLINA!!! A MUST SEE. Located just 20 minutes from The Charlotte Motor Speedway, This unique one-story home is up for sale for the first time. 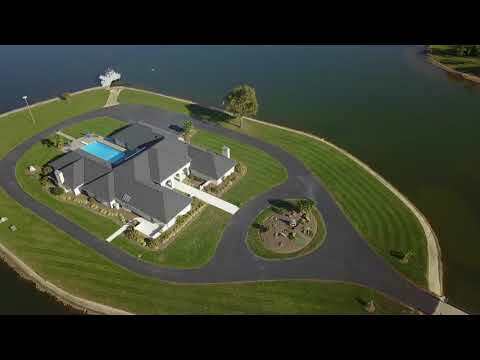 The home which features a spacious party room, in-ground salt water pool and solarium, sits on it’s own island with a 360 degree lake view and private bridge access. Best of all, it is in the middle of a picturesque family-friendly community.